There’s more to Sky Rink than meets the eye! Our event spaces are the perfect spots to host birthday parties, social & corporate events, bar/bat mitzvahs, and weddings. Party packages include admission, skate rental, pizza, a birthday cake, beverages and more. 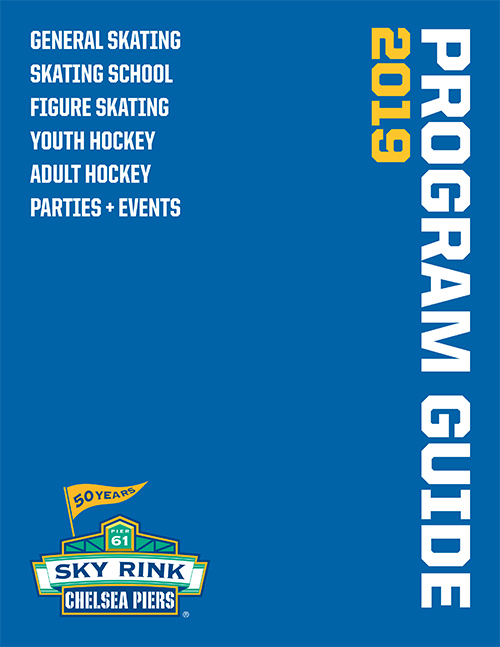 Sky Rink offers exciting, affordable and fun-filled programs designed specifically for school groups. Adult birthdays, bar/bat mitzvahs and bachelor(ette) parties at Sky Rink! Book a fun off-site summer getaway at the Sunset Terrace. Party packages include BBQs, team-building events and other great activities. Each of our unique event spaces feature breathtaking views, and can be customized to suit your individual needs. Experience panoramic views of the twin-rink facilities and take a look inside our unique event spaces.